Ride25 cycling holidays in France are all about experiencing the best that France has to offer, which means plenty of dedicated cycle paths, smooth road surfaces, quiet back roads, cycle-friendly cafes and courteous drivers. Added to that, the cafes and local restaurants serve some of the best food and wine on the planet… so what are you waiting for?! 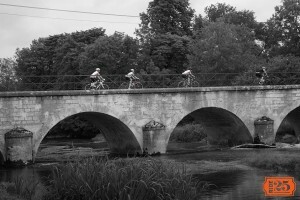 Our French cycling holidays include our London to Paris ride and Paris to Geneva rides. We don’t necessarily take you on the fastest route or perhaps the most traditional cycling route, but both are designed to see you pedal through some of the best sights and scenery the country has to offer – as well as experiencing the delights of the local gastronomy. On our London to Paris ride, we enter into France via the Brighton/Dieppe ferry and our first miles on French soil lead us along a dedicated cycling path – the ‘Avenue Verte’ – into the town of Forges-les-Eaux. The following day, we pedal through some stunning countryside on our way to Paris, for a memorable ride along the Seine and up to the Eiffel Tower. On our Paris to Geneva ride, we cycle past the famous vineyards of the Champagne and Burgundy regions with lunch stops in pretty towns such as Chablis. We also tackle the Col de la Faucille in the French Jura Mountains – made famous by the Tour de France. Watch our French Cycling Holiday videos here! 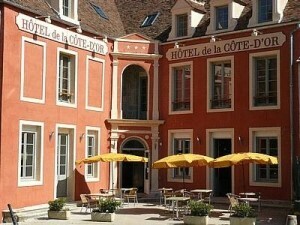 Find out more about what is on store on our Paris to Geneva cycling holidays below – or our London to Paris tour here.